Samsung will unveil a few new ‘A’ series phones on April 10th, and there are rumors of the Galaxy A60, A90, etc. launching at the event. 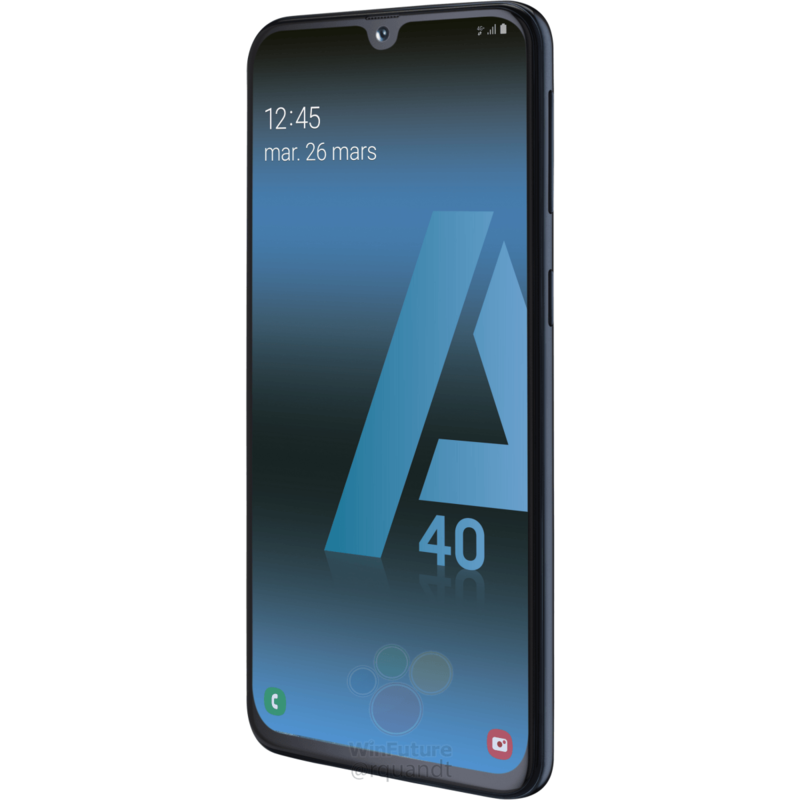 Today, however, the official press renders of the Samsung Galaxy A40 leaked that revealed the design of this upcoming mid-ranger from the company. It cannot be said if the phone is launching on April 10th or this month so stay tuned for the launch date. The design remains similar to the Galaxy A30 from the front as well as the rear. Talking about the front, there is an Infinity-U display so there is a U-Shaped notch on top. The renders reveal a small bottom chin but the bezels are probably bigger in real life. On the rear, there is a vertical dual camera setup and the fingerprint reader. So, the Galaxy A40 doesn’t get a triple camera setup like its bigger brother, the Galaxy A50. Moreover, the phone has a polycarbonate back, so no glass or metal build even though it is a mid-ranger. The USB Type-C port, headphone jack, primary mic, and the speaker grill are placed on the bottom while the volume rockers and the power button are on the right side. 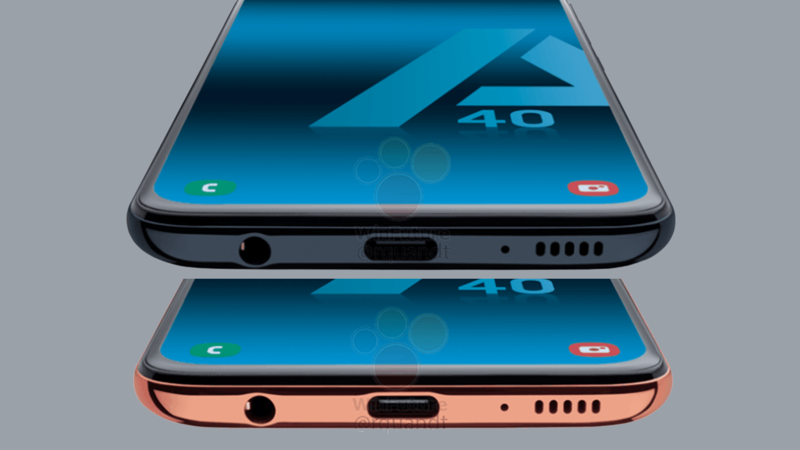 The Samsung Galaxy A40 could launch with a 5.7-inch Super AMOLED screen, Exynos 7885, 4GB RAM, 64GB ROM, 4,000mAh battery and Android 9 Pie, all for a starting price of 250 Euro or $283. As mentioned in the beginning, the launch might happen on April 10th or before that.